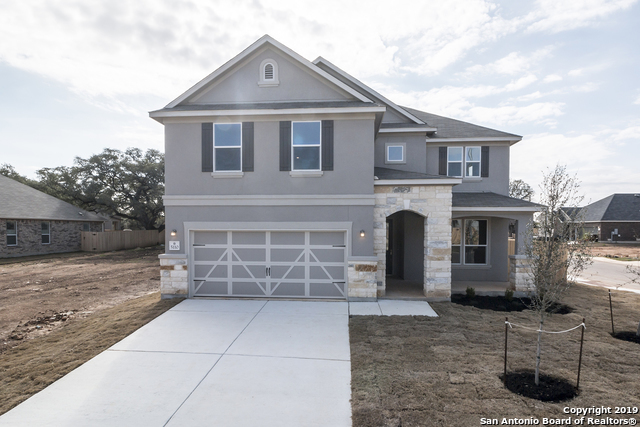 All Canyon Crest homes currently listed for sale in San Antonio as of 04/22/2019 are shown below. You can change the search criteria at any time by pressing the 'Change Search' button below. "Beautiful 1.5 story home with wood floors in family room and kitchen. Kitchen is a cooks delight with granite counter tops, extended center island, built in stainless steel appliances with a gas cook top. Warm, inviting rock fireplace in the family room. The luxurious master suite includes a private bath with a garden tub and oversized mud set shower. Two secondary bedrooms downstairs. Retreat area and a study downstairs. Game room, bedroom and bath upstairs. Three car garage." 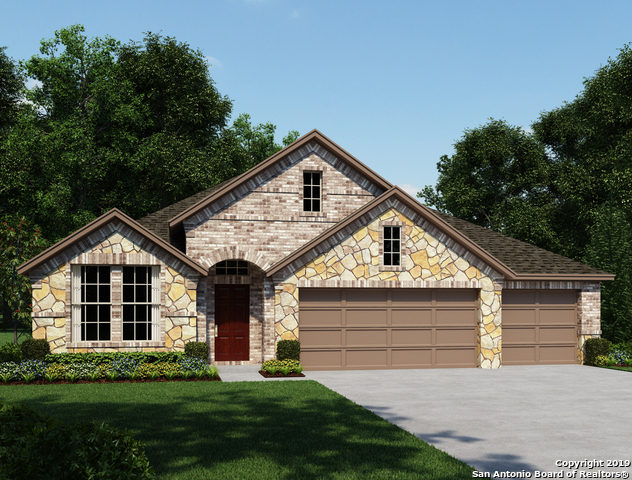 "Beautiful one-story home with gourmet kitchen featuring an extended granite island with pendant lights, gas cooktop, pot filler, built in double ovens and a pantry. Family room with 12' x 8' glass doors that open up to the covered patio. Wood flooring in family room, kitchen and breakfast area. 8' interior doors. Luxurious master suite includes a private bath with separate vanities, garden tub and an oversized, mud set shower. Retreat area perfect for a game room. Three car garage." 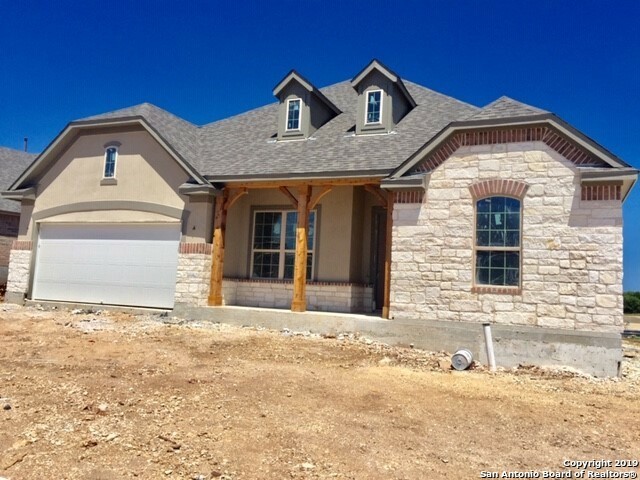 "Beautiful one-story home with gourmet kitchen featuring a granite island with pendant lights, gas cook top, built in double ovens and a walk-in pantry. Family room with warm, inviting fireplace. Wood flooring in family room, kitchen and breakfast area. 8' interior doors. Luxurious master suite includes a private bath with separate vanities, garden tub and an oversized, mud set shower. Private study on front of home. Spacious game room. Covered patio. Three car tandem garage." 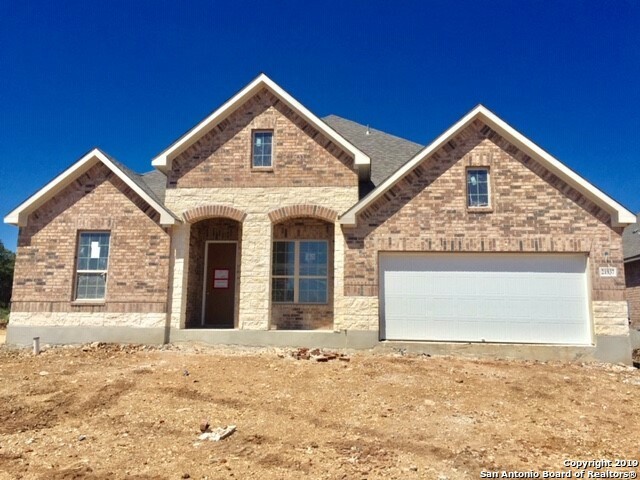 "Beautiful one-story home with gourmet kitchen featuring a granite island with pendant lights, gas cook top, built in double ovens and a walk-in pantry. Family room with warm, inviting fireplace. Wood flooring in family room, kitchen and breakfast area. 8' interior doors. Luxurious master suite includes a private bath with separate vanities, garden tub and an oversized, mud set shower. Spacious game room. Covered patio. Three car tandem garage." 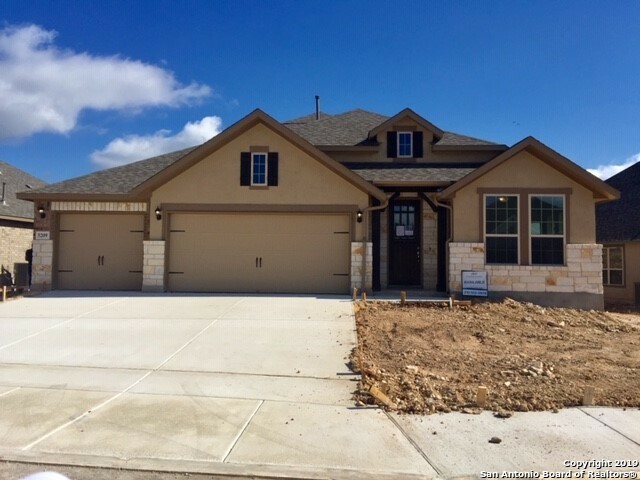 "Beautiful one-story home with gourmet kitchen featuring an extended granite island with pendant lights, gas cooktop, built in double ovens and a pantry. Family room with stone fireplace and double doors that open onto the covered patio. Wood flooring in retreat area. 8' interior doors. Luxurious master suite includes a private bath with double vanities, garden tub and an oversized, mud set shower. Private study and retreat. Three car garage." "Home features living room conversion to bedroom with bathroom, Kwikset Tustin lever interior door hardware, Monte Carlo ceiling fans at great room and master bedroom, Shaw vinyl plank flooring at entry, living room, dining, and kitchen, upgraded Shaw carpet at bedrooms, game room, and stairs, gourmet kitchen, kitchen cabinet crown moulding, extended granite kitchen countertops, Moen Sleek high arc kitchen faucet with pulldown spout, Whirlpool ceramic glass cooktop, double wall oven, microw"
"Home features den with double doors, Armstrong vinyl plank flooring at entry, great room, kitchen, den, and dining room, Whirlpool True Convection range, Woodmont Cabinetry Dakota Shaker panel 42-in. kitchen cabinets, extended granite kitchen countertops, exterior rear door at master bedroom, 42-in. separate marble garden tub and shower with tile surround and extended cabinet with knee space at master bath, porcelain tub and shower with tile surround and extended dual vanity at bath 2, Sea Gu"